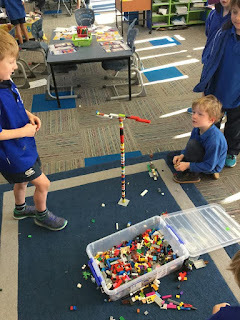 Patrick and Ben worked hard to create a crane from the Lego which they told me also works as a ride at a park! 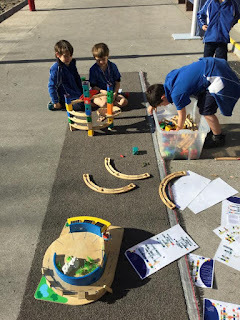 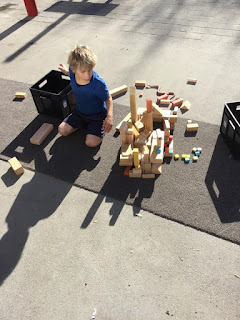 Isaac and his team worked hard in their problem solving to make a construction that could make the marble travel from the top to the end with out stopping. 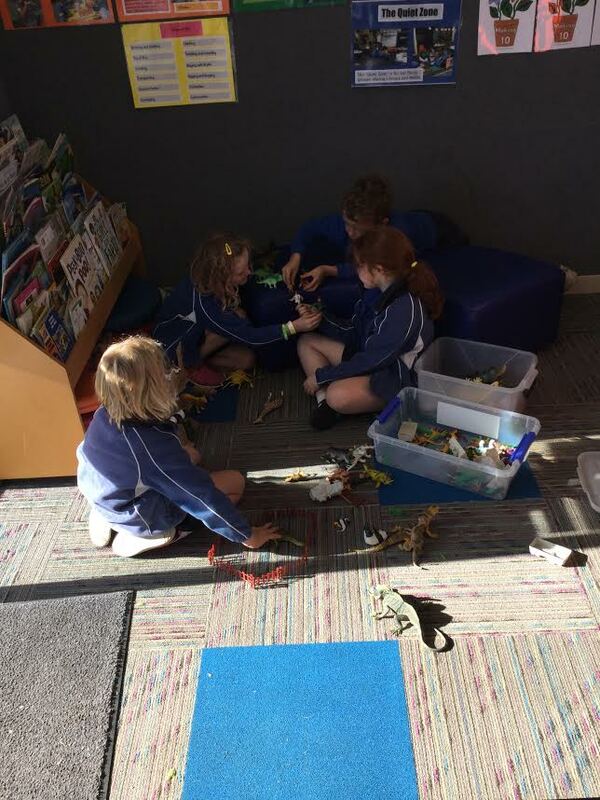 Kenzie, Olivia, Sam and Tessa all enjoyed creating a farm with the animals through dramatic play. 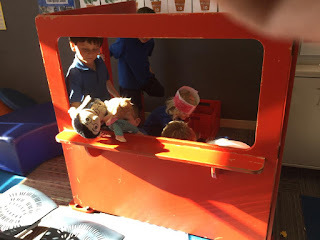 Harry produced a fantastic "puppet show" which I thoroughly enjoyed! Van worked very hard on his block tower. It even had a place to park the boat. And a look out to watch out for the "baddies"